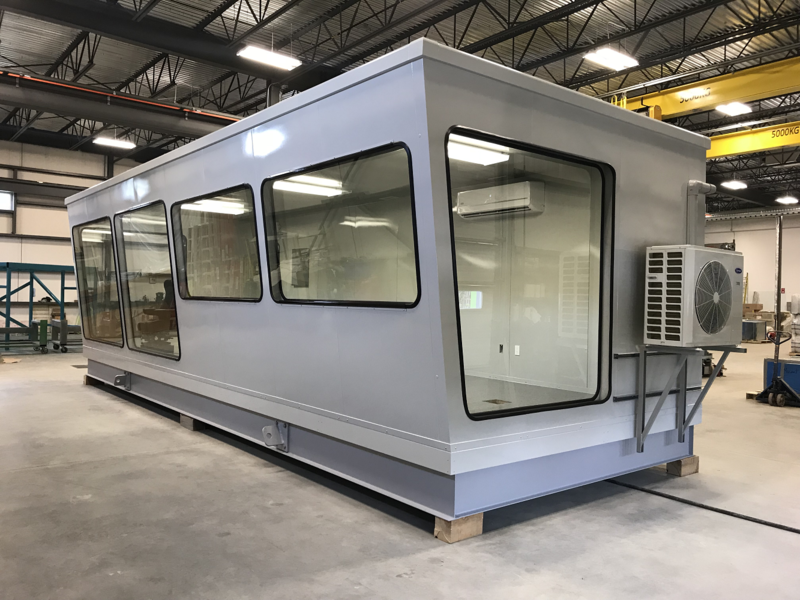 Mecart manufactures custom soundproof control rooms and operator cabs for the sawmill industry. This is a control cabin for the primary log breakdown line of a sawmill. It attenuates noise by 40 decibels. The first section is for the operator to control the equipment. The windows are angled for better visibility. An operator seat is installed within the floor structure, and preparations are made for the wiring of the control consoles. At the back, there are more floor openings for the installation of the MCC and general controls for the wood processing line. The second section will be used as an office. 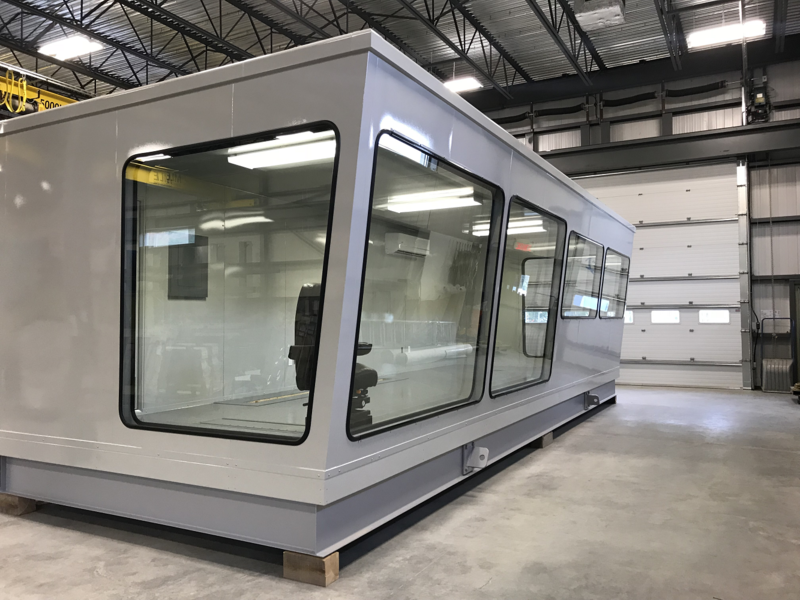 The control cabin was assembled in our factory and shipped in one piece. With utilities prewired into the panels and its own electrical panel, the cabin requires almost no site work. Just plug it and you’re all set!